Awww, this was the perfect, perfect ending! I'm so glad Zeke is heading home where his heart belongs. This is his nature, to go where his instinct lies, always. He has reached a spot in life where he has achieved some things and can measure the rewards of success next to being with someone you love and he has chosen well. I think he will have fun going with Casey to New York (and Ireland?) on visits but they will also love building a home together in a 'real' place, away from paparazzi and crazyness of the industry. But I'm glad Zeke isn't giving up filming on Penny Dreadful, especially as we need season 2 to come out! :-) This was a lovely story, really nice to have the topical reminders of PD in there, it felt like a nice blend of Fac and RPF, very unusual and with lots of heart and knowing how to make the boys and us very happy! Thank you Pris, I'm looking forward to your next serial! Thank you so much. 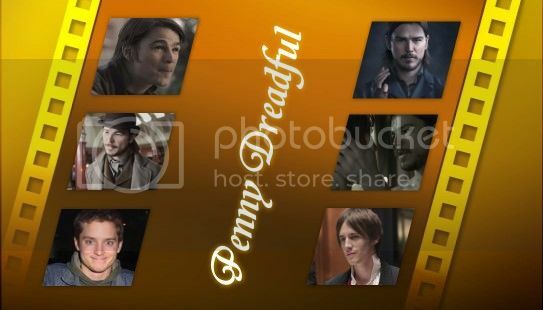 It was fun to write this one though I don't know much about Penny Dreadful. Of course they got the ending they deserve ;) and they will have a great future together in Herrington with trips to Europe, New York and where they want to go. Lucky guys.